3139/38-N Printer Applicator thermal transfer or direct transfer imprints and applies labels around any corner or two labels on adjacent panels utilizing a vacuumized drum. The Model 3138-N with its built-in label unwind and rewind capabilities is utilized for one-to-one print and apply allowing for the immediate application of each label as it is printed. The 3139/38-N's sturdy swing arm can be configured for cartons or pallets. The heavy duty square-frame mounting stand can be bolted to the floor for added stability. The 3139/38-N is compatible with most O.E.M. printers. 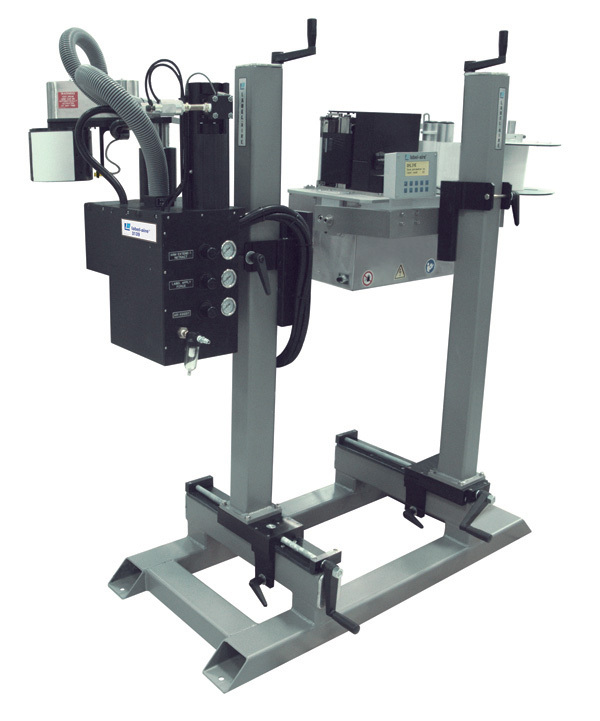 Put this advanced workhorse printer applicator to work for you. The Model 3139/38-N Printer Applicator is designed to run seamlessly in your operation, saving you money in the long run.